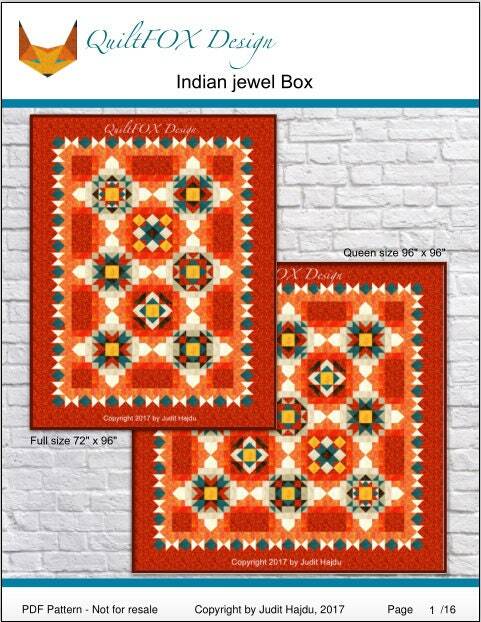 The Indian Jewel box is a very detailed pattern, originally designed as a Block of the month. 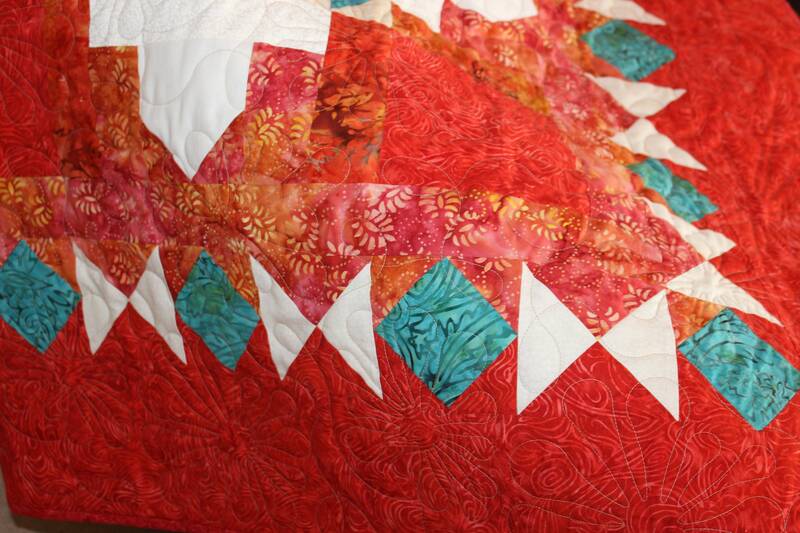 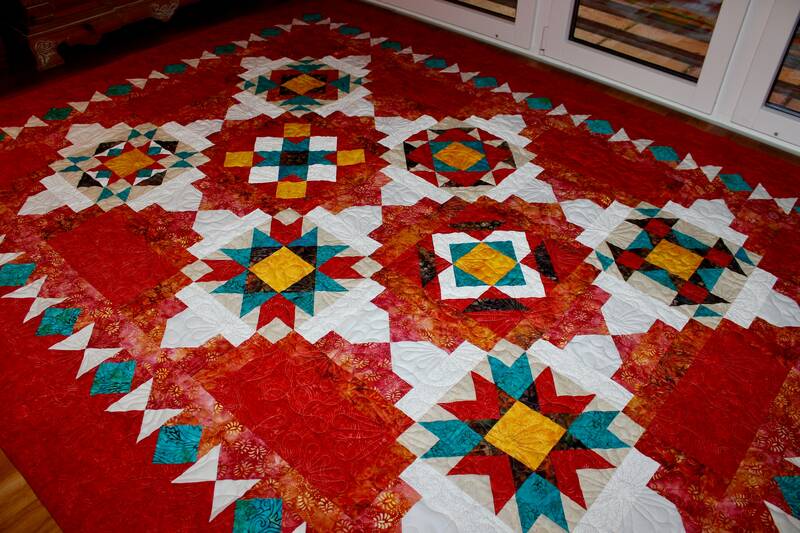 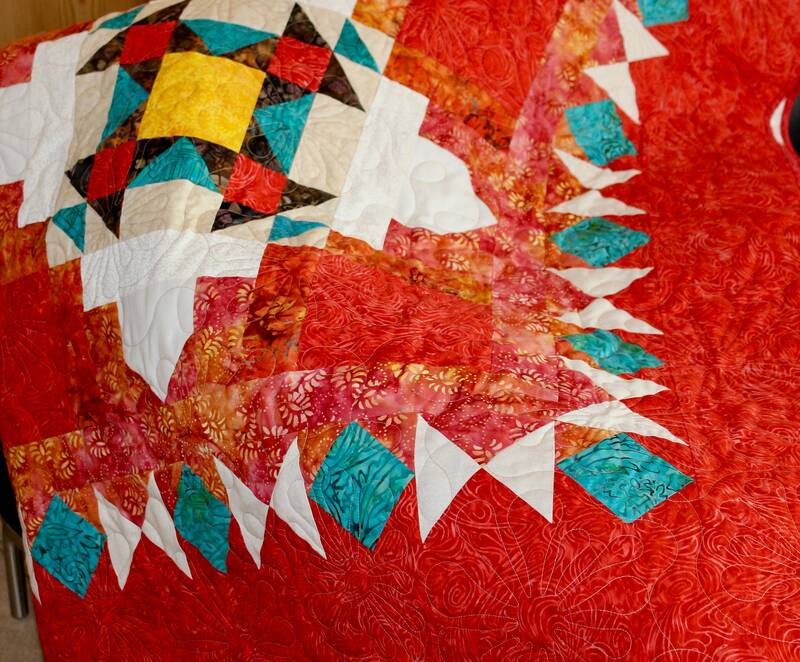 I used only my favorite batiks to create the quilt. 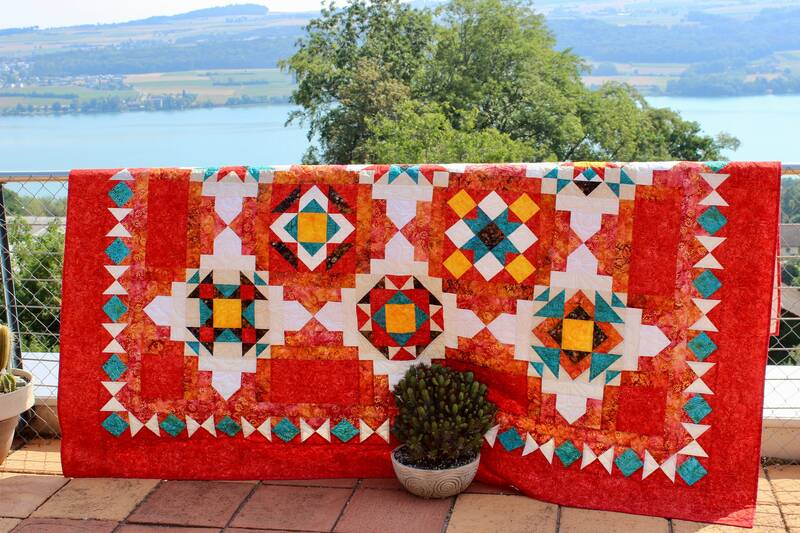 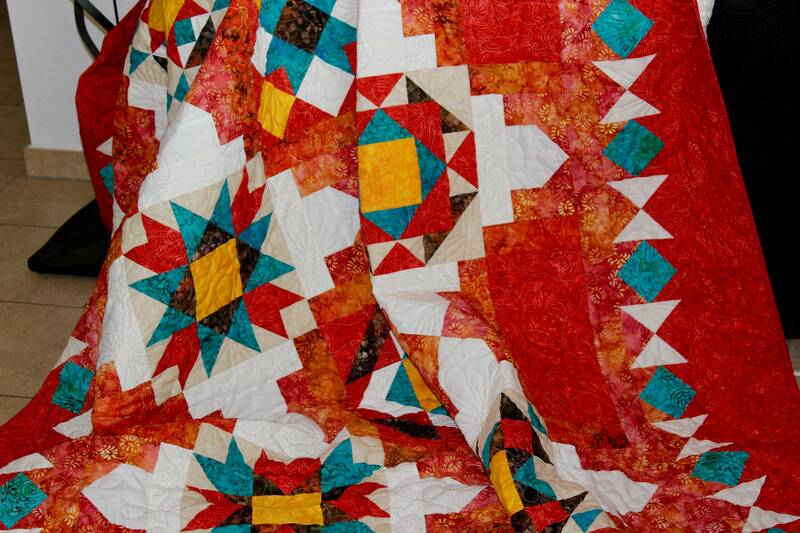 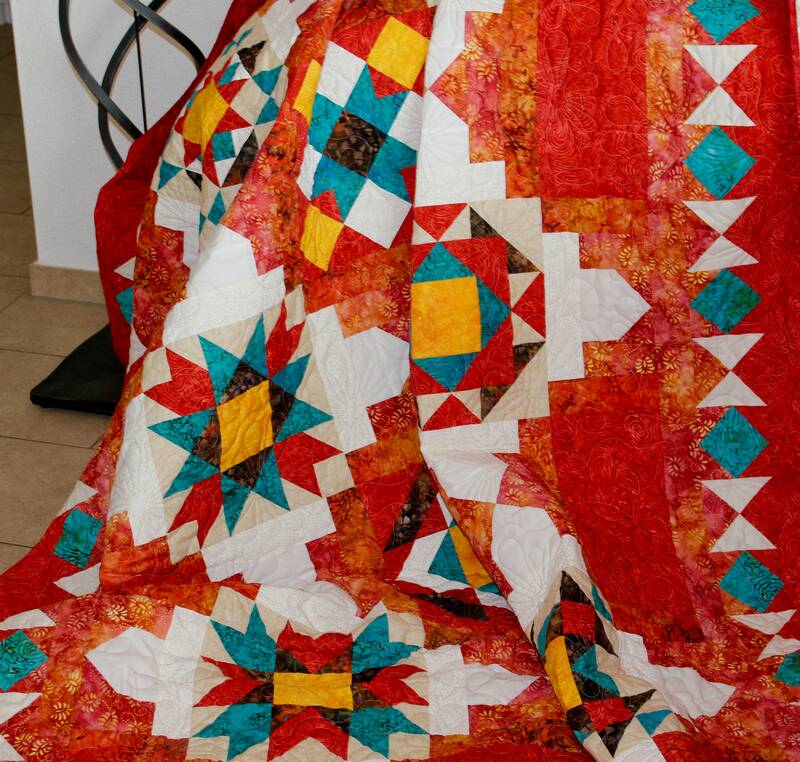 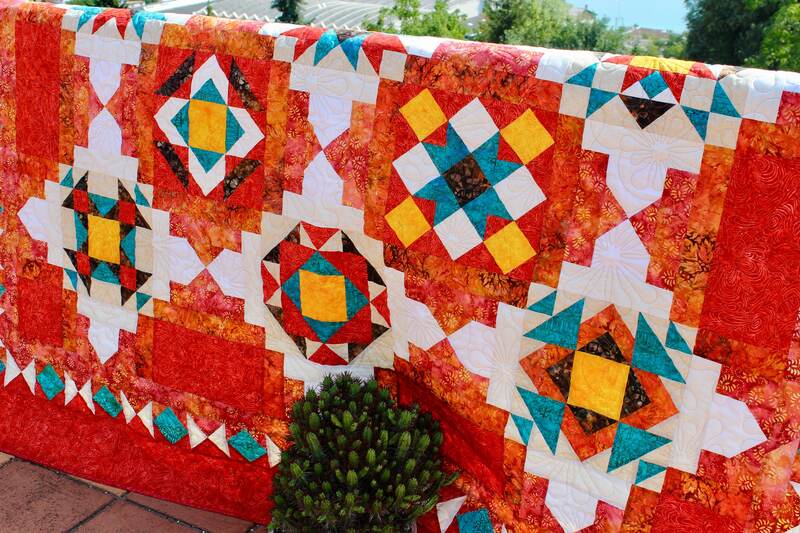 The pattern is for intermediate quilters, who already have piecing experience. 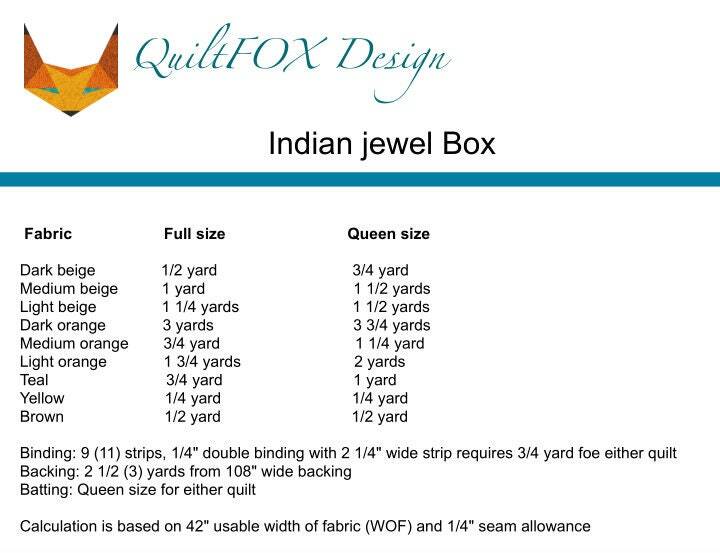 The pattern includes two sizes, full and queen. 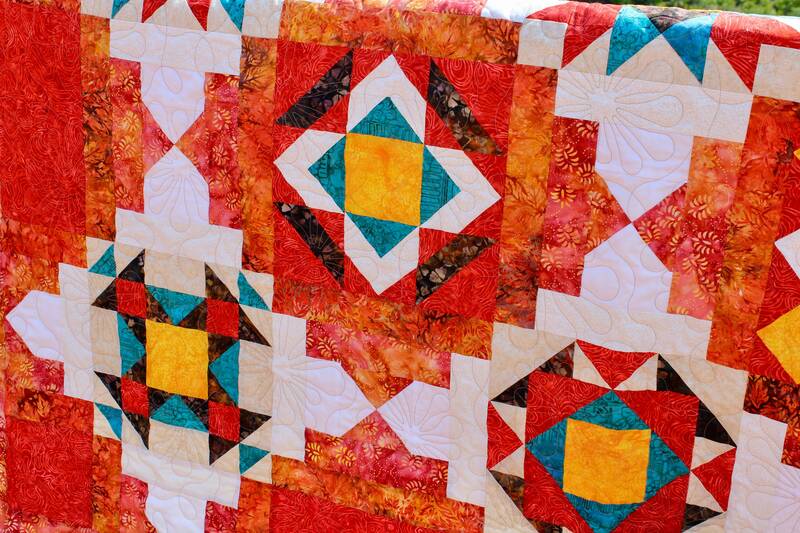 When you order this pattern, you will get printed (hard copy) booklet in the mail.